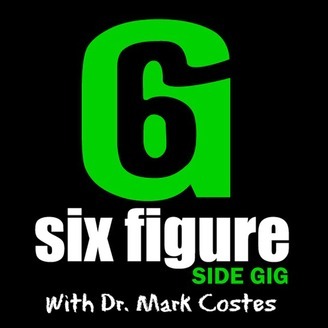 Six Figure Sidegig with Dr. Mark Costes. Sign up for FREE video. Build a six figure part time business BEFORE you quit your day job. Entrepreneur business marketing tips for success. Dr. Costes and Cadu relate on things like setting and attaining career goals. All that and more on today’s episode of the Six Figure Side Gig. In 2002 Cadu moved to California from Brazil to attend school and learn how to speak English. He was raised by parents who were entrepreneurs and small business owners. This foundation helped spur a passion for marketing in him and he worked in that field after graduation. His job allowed him to stay in the US on a working visa but he was working excessive hours. He met and married his wife around that same time and he was able to get a green card, allowing him to leave that working environment. After having their first child together, they wanted to move somewhere a little less fast paced to better support a family lifestyle. They ended up choosing Prescott, AZ and the rest is history. For the past six years or so he has been working with Dr. Costes building audio and video editing experience. Cadu feels passionate about supporting small business and plans to transition his career focus into small business marketing coaching. Special thanks to Cadu Medina for sharing his story and expertise on the show. 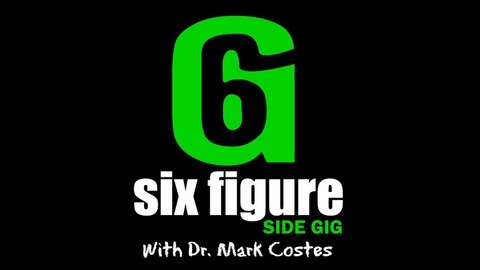 Thank you for all for listening and look forward to seeing you next time in the Six Figure Side Gig Podcast!